1Most car shipping complaints are from damage to vehicles and an inability to get compensation. 2An alarming 1 in 20 vehicles get damaged on average during the shipment process. 320% of all claims are not successfully settled or are delayed indefinitely. 4Most minor damage is only discovered after a vehicle is delivered and the carrier has left. 5Car shipping companies know about these concerns but have little or no remedy for them. Businesses who are authorized agents for the AFta PLAN will have this banner displayed on their website. By clicking on the banner you will be able to view their agency rating and status. Click on it now for a sample preview. 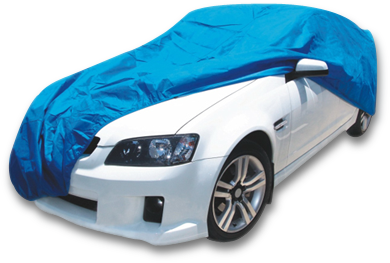 Under normal circumstances, all vehicles are covered by a carrier’s insurance, but there are exceptions. Anything that causes damage or loss while a vehicle is in transit that is not due to the carrier’s error or negligence is NOT covered. If the damage is minor and is less than the insurance deductible, the person whose vehicle is being shipped will have to bear the cost. A delivery may also be delayed. That may be costly, requiring vehicle rental. GAP COVERAGE addresses areas including: Major Damage, Minor Damage, Car Rental Reimbursement, and Lost/Stolen/Damaged Key Reimbursement. Why Do I Need Gap Coverage? You can never be sure that your vehicle will be shipped without damage. There is a calculated risk that the carrier or its insurance may fail to pay for a claim. Should a vehicle carrier’s insurance fail to pay or should a carrier have difficulty settling an insurance claim, you will then have no choice but to use your personal vehicle insurance, which requires most customers to pay a deductible. The AFta PLAN is the ONLY fully comprehensive car shipping protection plan in the US for transporting your vehicle. Gap coverage will compensate for out of pocket costs should damage occur where a carrier's insurance fails to pay. It offers total assurance and peace of mind. No car shipment should be without it.